Many measuring instruments especially of the optical or acoustic measurement technology must be placed at a fixed location and accurately aligned. 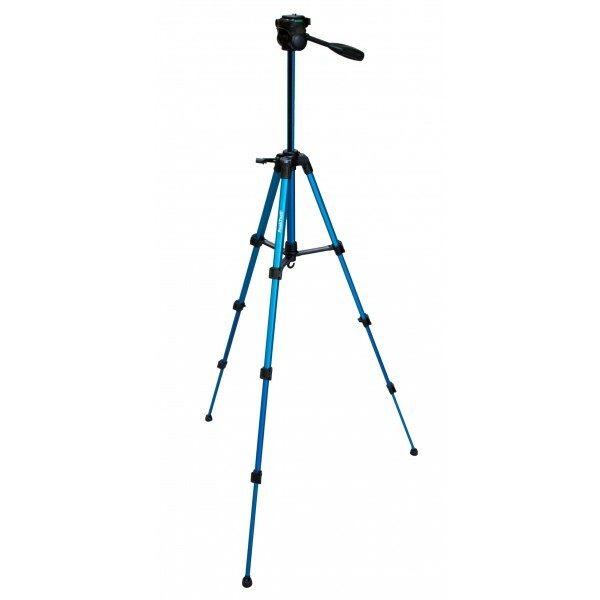 Therefore this device is equipped with a ¼ inch tripod thread with which an attachment to a camera-tripod is possible. 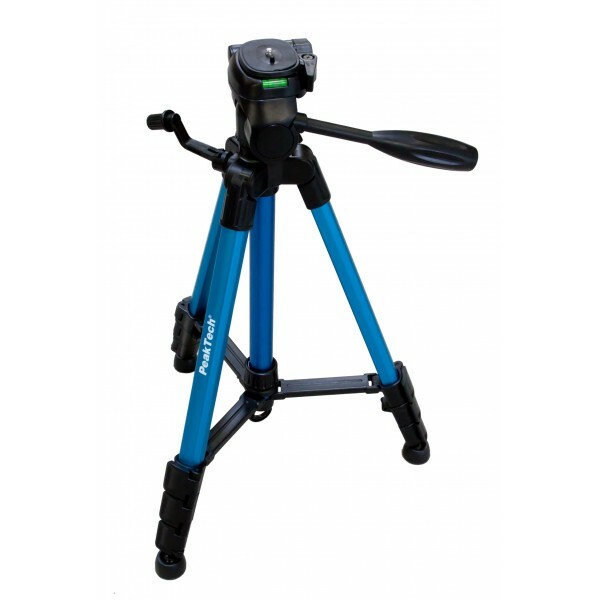 For this purpose, we now offer this stable and inexpensive tripod with many great features, such as a 360° rotatable panhead, arbitrarily adjustable inclination angle, stepless extendable legs and many more. 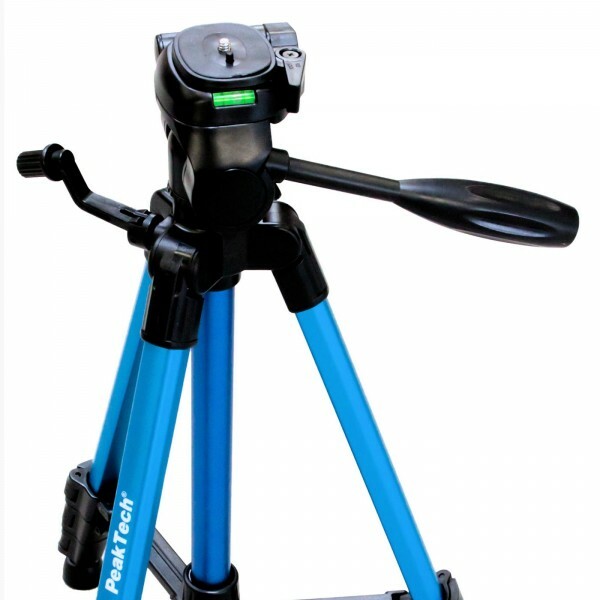 For most precise alignment the tripod also has an integrated waterlevel. All settings can be locked firmly, so that a repeated measurement under the same conditions is always possible without any trouble. 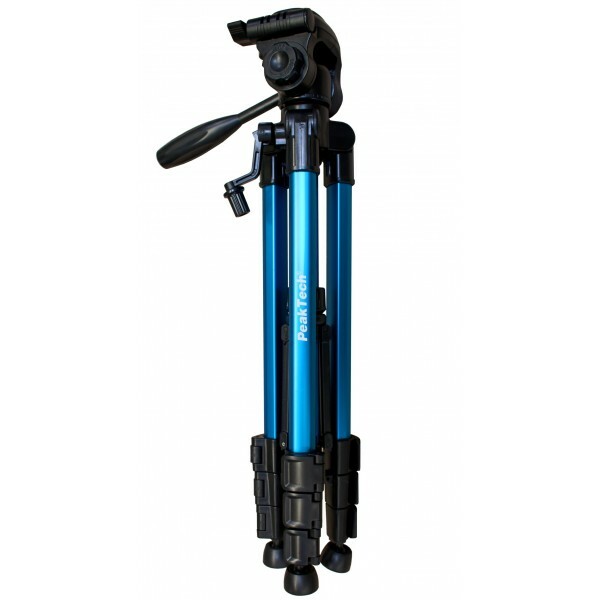 The tripod is made of aluminum and synthetic materia, and also meet the highest standards of stability and strength, but is still very easy to carry and can be stored space saving in the included carrying case.